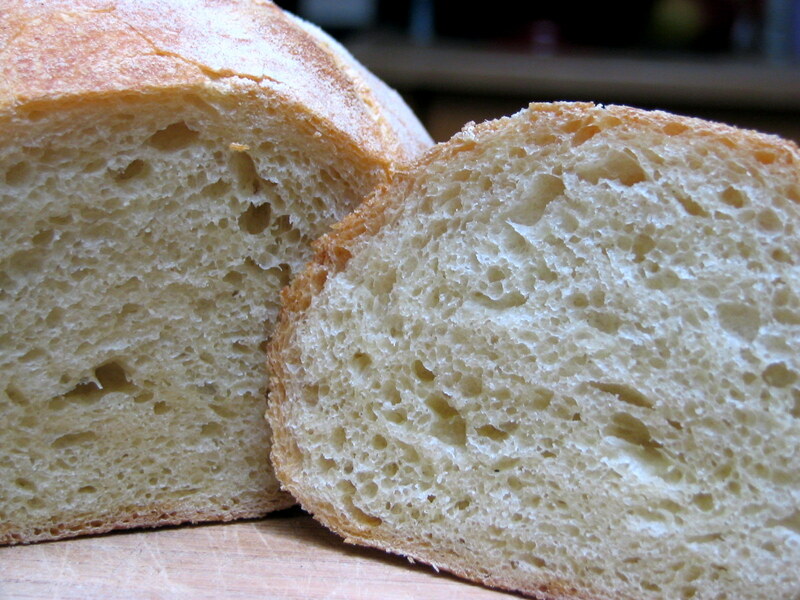 Pugliese, as the name indicates, is a bread typical from Puglia, a region in the south of Italy. 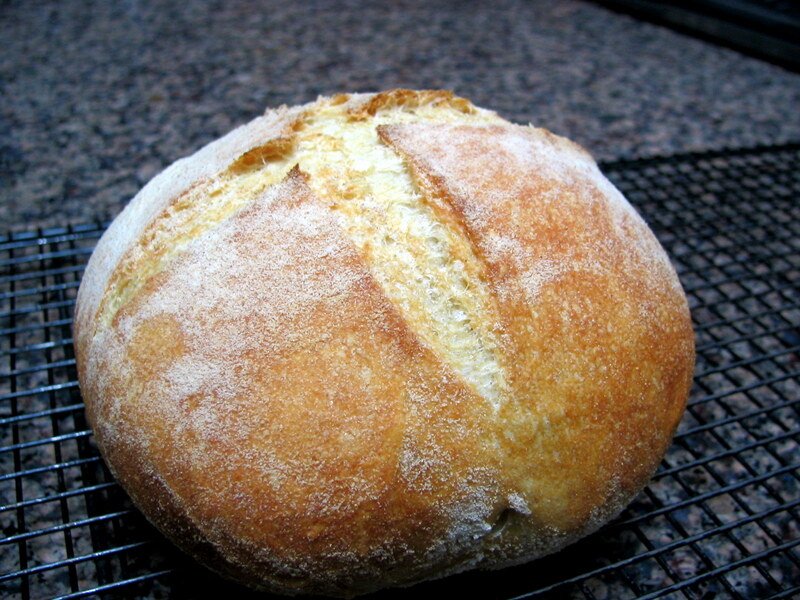 The bread is supposed to be quite crusty, perfect for olive oil tasting. Peter Reinhart’s recipe, like many others in the book, calls for a biga, prepared the previous day, and placed in the fridge overnight. For reasons absolutely out of my control, my biga stayed the whole night at room temperature instead of going to sleep in the fridge. I debated whether to go ahead with the recipe or start all over, but decided to go for it. Other than forgetting to put the biga in the fridge… 😉 I had no issues with the recipe. But, maybe my mistake contributed to a crumb texture a lot tighter than that shown on the book. Still, it tasted very good, a little chewier than a regular Italian bread. Once the BBA Challenge is over, I will revisit this recipe for sure! It sure does look tasty. Good job…. and now you get to head into the sourdoughs! Are you excited? What a beautiful golden crust! And the crumb is just tempting. I am so looking forward to this bread!